Beth van Haaren is a Township Trustee who was recently re-elected to her third full term. In May, 2005, she was selected to fill the Trustee seat left vacant by the death of Matt Davis and in November, 2005, she was elected for a four-year term. A graduate of Bethel High School in 1984, Beth attended North Carolina State University, earning a Bachelor's of Science in Mechanical Engineering. 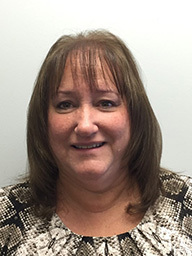 In 1994, she returned to Bethel Township with her husband and began working for Process Equipment Company. Almost 20 years of engineering and business management experience have developed Beth's leadership abilities, her fiscally conservative mindset and a pro-active attitude toward problem solving. Beth is married to Michael van Haaren and they have three children, Caleb, Marieke and Alexander all of whom attend Bethel Local Schools. They are active members of the West Charleston Church of the Brethren. She volunteers with a variety of non-profit organizations: Child Care Choices, Bethel Local Schools, Bethel's recreational soccer league (BAYSA), and several others. Mrs. van Haaren's term expires on December 31, 2021. Carolyn Wright is a lifelong Bethel Township resident, and a 1990 graduate of Bethel High School. Carolyn graduated from the University of Hawaii in 1994 with a Bachelors of Social Work, and received her Masters of Social Work from Ohio State University in 1996. Carolyn is a LISW-S (licensed independent social worker) and is currently working as a clinical supervisor at Equitas Health in Dayton. Carolyn has been married to her high school sweetheart, Todd Wright ,since 1992 and is mom to Benton Wright (Bethel Class of 2016) and Eiliana Wright (Bethel Class of 2018). In addition to serving her first term as Bethel Township Trustee, Carolyn is the Bethel Varsity Swim Team Assistant Coach, and has been an active supporter of the Bethel community through her work on Bethel School levies, developing the Bethel Bee Strong 5k and creating the Mr. Bethel Pageant. Carolyn is honored to continue to serve the Bethel community. Mrs. Wright's term expires on December 31, 2021. Mr. Biggs brings a wealth of experience to the Board of Trustees. He is currently the plant manager for Concrete Sealants and has held a variety of positions at the company since starting there in 1978. Additionally, Gary has served on the Bethel Zoning Board of Appeals for the last 10 years and also spent six years on the Miami County Fair Board. Gary and his wife Valerie live on Palmer Road. They have two daughters and five grandchildren. Mr. Biggs' term expires on December 31, 2019. Mrs. Watson was first elected in 2003 and is currently serving her second term as Fiscal Officer. A resident of Bethel Township for 20 years, she is also a former member of the Bethel Local School Board. Mrs. Watson was born in Brooklyn, New York and is a graduate of Hillsboro High School. She attended Wright State University. She is a mother of two sons, Anthony and Andrew. Mrs. Watson is a dedicated community member having served as the Treasurer of Pee-Wee Football, the Bethel Athletic Booster Club, Bethel Athletic Council and the Bethel Community Improvement Corporation. In April 2010, Mrs. Watson completed her state training and certification as an EMT-Basic, and serves a member of the Bethel Township Fire Department. Mrs. Watson is also a notary public. Mrs. Watson's term expires on March 31, 2019. Andy Ehrhart joined the Bethel Township team in April of 2009. Andy brings experience from working with Washington and Harrison Townships in Montgomery County. 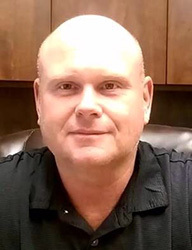 Andy is a 1993 Graduate of Sinclair Community College with an Associate's Degree in Law Enforcement. Andy is also a member of the Bethel Township Fire Department serving as chief. Marty started in this position in April of 2016, having previously been a volunteer member of the township’s Zoning Commission. 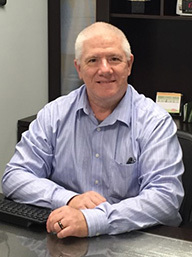 Marty has a Political Science degree from Wright State University and spent many years in the private sector as a marketing manager for a Fortune 500 company. A Bethel Township resident for over 22 years, Marty enjoys serving his home community. Robert Yocum is a lifetime resident of Bethel Township. A graduate of Bethel Local School Mr. Yocum has been employed with the Township for thirty years serving in the Road Department for the entire length of his service. Robert's hobbies include photography and computers.